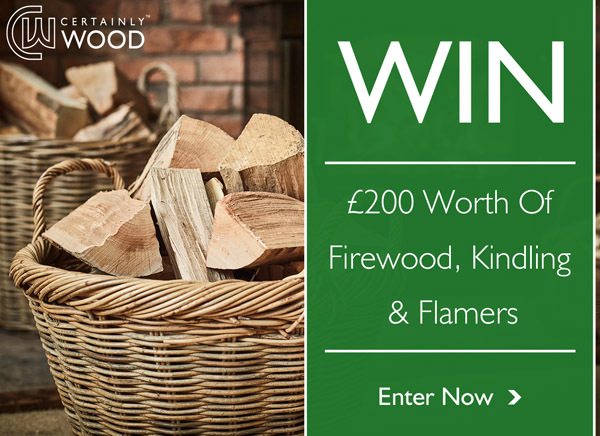 WIN: £200 worth of firewood, kindling and flamers! Competition closes Sunday 4th December at 23:59. One winner will be drawn at random and notified within 5 days of the closing date (December 4th 2016). No cash alternative prize is available. Prize must be claimed within 30 days. If the winner fails to make contact within 7 days of being notified of winning, an alternative winner will be drawn. Free delivery of prize to UK mainland only. By entering this competition you consent to your details being shared between the two companies: Certainly Wood and Philip Morris & Son. Please help spread the word and share on Facebook and Twitter – The more entries and shares we get, the more free competitions we will hold! British, Certainly Wood, Christmas, Competition, Countryside, Firewood, Flamers, hereford, Heritage, Kindling, Log Burners, Philip Morris, Terms and Conditions, UK, Win. Bookmark.